I've been hooked on weather since I took Earth Science in 8th grade. Experiences during my undergraduate days convinced me I wasn't cut out to be a forecaster, so I turned to research and have never regretted it. I've studied fair-weather continental boundary layers and tropical marine ones; large-scale tropical phenomena and long-term variations in sea breezes; some of the instruments that collect data; and the career paths of meteorologists. Since I arrived in Boulder in 1993, much of my work has focused on the weather over the tropical Pacific and its interactions with the underlying ocean and with global climate. I've also been involved in various investigations into the uses and abuses of data collected by wind profiling radars. In the last several years I've been branching out into the Indian and western Atlantic basins, and have begun using Linear Inverse Modelling (LIM) as a tool to study ocean/atmosphere relationships. In early 2016 I spent 5 weeks on Kiritimati (pronounced "Christmas") Island in the equatorial central Pacific (2.01°N, 157.4°W). My colleagues and I launched twice-daily radiosondes as part of the El Niño Rapid Response (ENRR) field campaign. Since then I've been leading the effort to quality control the surface and upper-air data collected from Kiritimati and the NOAA Ship Ronald H. Brown during ENRR, and working with others to disseminate our data and initial results. 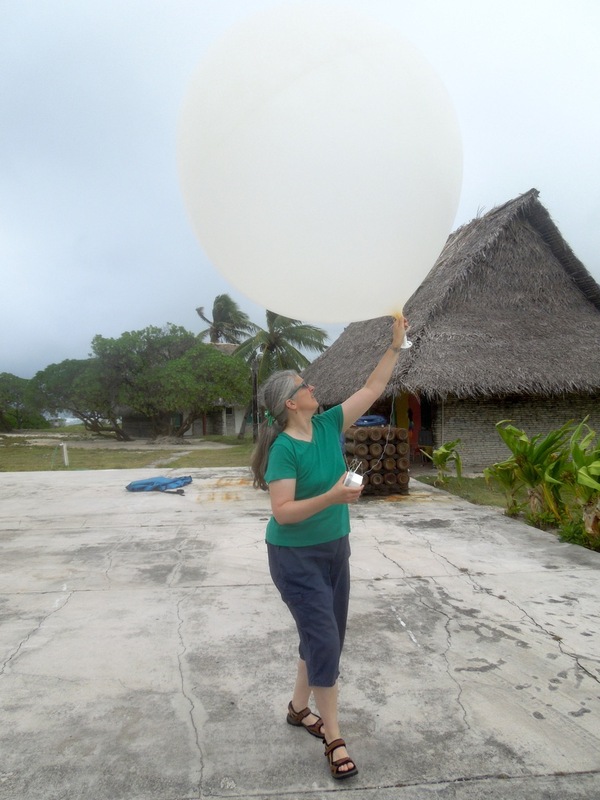 Leslie launching the 00Z CXENRR balloon on 17 March 2016 from the Captain Cook Hotel in Main Camp, Kiritimati Island during the El Niño Rapid Response (ENRR) field campaign. 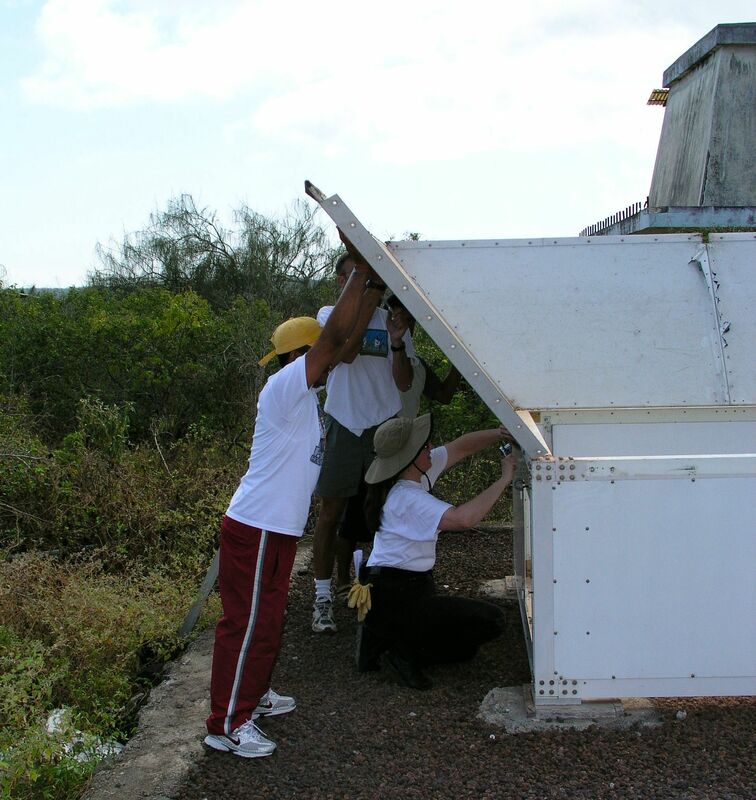 Taking apart the clutter screen on the 915-MHz wind profiler that operated on San Cristóbal, Galápagos Islands from 1994-2004.